My very first magic carpet was woven in Tunisia. I found it in a souq – an open air market which sells everything from jewelry to ceramic dishes to rugs. The rug was woven of wool, and I could use it as a blanket on chilly nights when I camped outside. The first people to live in this area were stone age cave dwellers called Troglodytes. 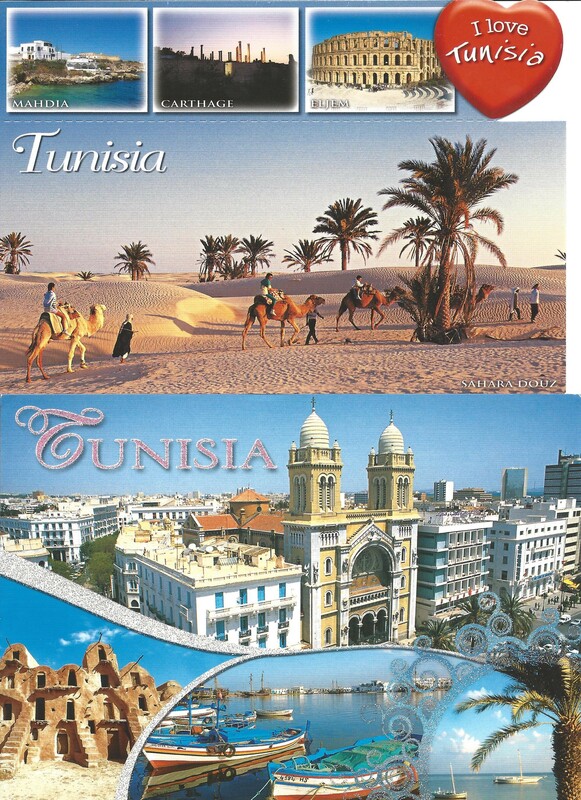 I can see why humans like to come to Tunisia – there are many miles of sandy beaches along the Mediterranian coastline, though in the south part of the country there is desert, and it is hot! This entry was posted in Africa and tagged cat, postcard, travel. Bookmark the permalink.